First Storm: A Solomon Stone Thriller (Solomon Stone Thrillers Book 1) - Kindle edition by E.G. Ellory. Mystery, Thriller & Suspense Kindle eBooks @ Amazon.com. This title will be auto-delivered to your Kindle on June 11, 2019. Meet Solomon Stone. Loner turned shadow agent. Eighteen months after coming across a stranger waking along a darkening country road, Tom Brook's life has radically changed. In his old life, he was a nobody, drifting towards middle age - broke and chronically alone. In his new one, he is Solomon Stone: a shadow agent who tracks individuals of interest and dismantles their lives. 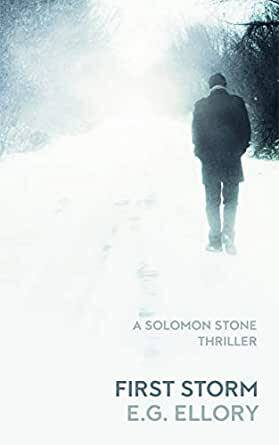 Stone's new assignment takes him to a remote region in the north of England, tracking a man who has betrayed the organisation he works for: a rogue entity offering his skills to the highest bidder, irregardless of their agendas. Stone's mission is simple: to locate the man known as 'The Ghost' and go to work on dismantling his life before too many secrets are spilled, and too many people get hurt.